If you think back on any of the horror films you’ve seen recently, or the science fiction novels you’ve read, how many of these have themes or actions where people contact the dead or interact with ghostly apparitions? What about notions of an elaborate spirit world that interrelates with the laws of our physical world? Or individuals with superhuman abilities like mind-reading, clairvoyance, telepathy, or telekinesis? These themes are core aspects of the Spiritualist movement which have been hybridized and diffused, becoming the defining touch to horror, science fiction, and related genres. But where did this phenomena come from and why? 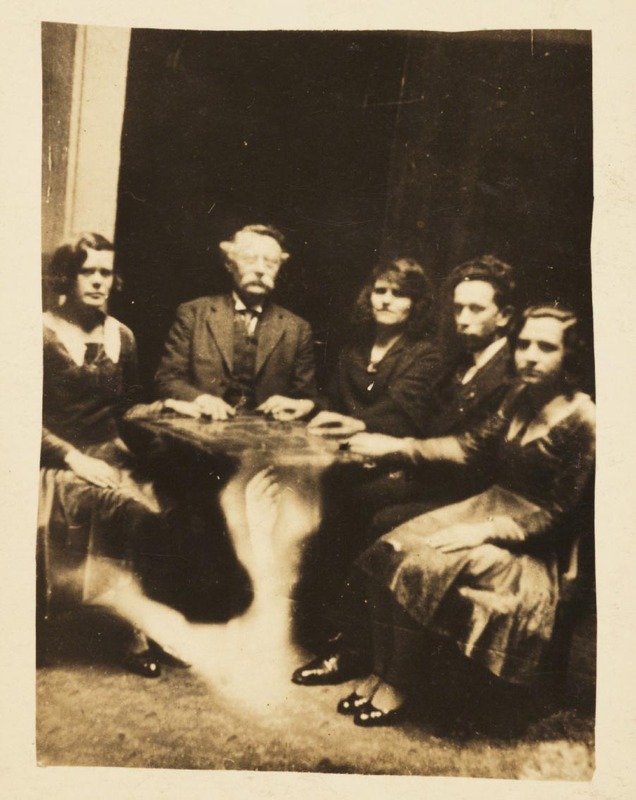 While modern media portrayals of Spiritualism may involve Ouija boards and séances to foreshadow the horrific events that result from the release of evil spirits of the Beyond, the actual phenomena of Spiritualism is rooted in a complex network of socio-political interactions at the turn of the 20th century between the advent of science and technology, the women’s rights movement, and WWI. The information accompanying the spirit album states that the table is levitating – in reality the image of a ghostly arm has been superimposed over the table through double exposure. Photograph 1920 by William Hope (1863-1933). National Media Museum Collection: 2002-5054/10. Public Domain. Alberta Historical Resources Foundation 2018 Heritage Award Recipients. Held every two years, the Alberta Historical Resources Foundation Heritage Awards are presented to recognize groups and individuals’ efforts to research, promote or preserve Alberta’s diverse history and heritage. 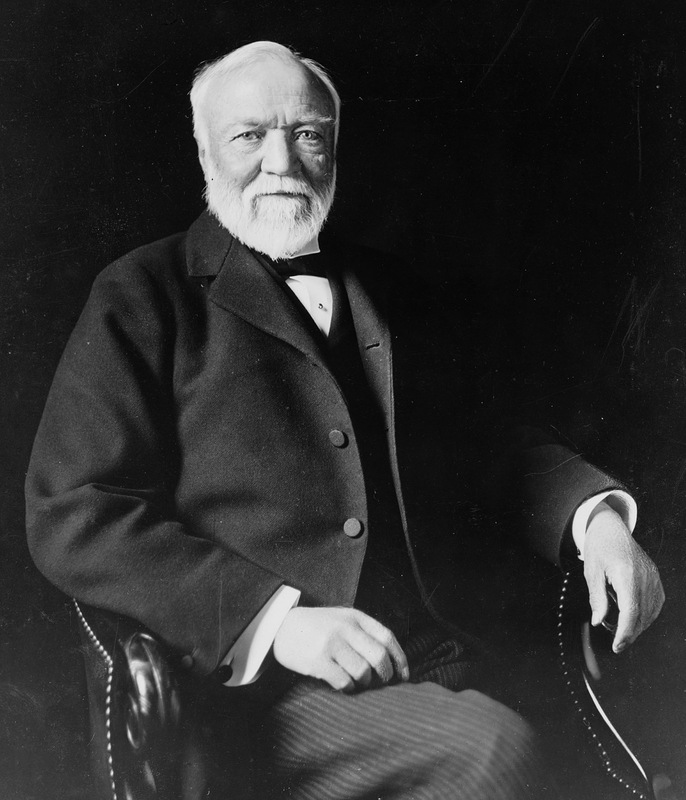 This post was originally published on RETROactive on October 31, 2012. 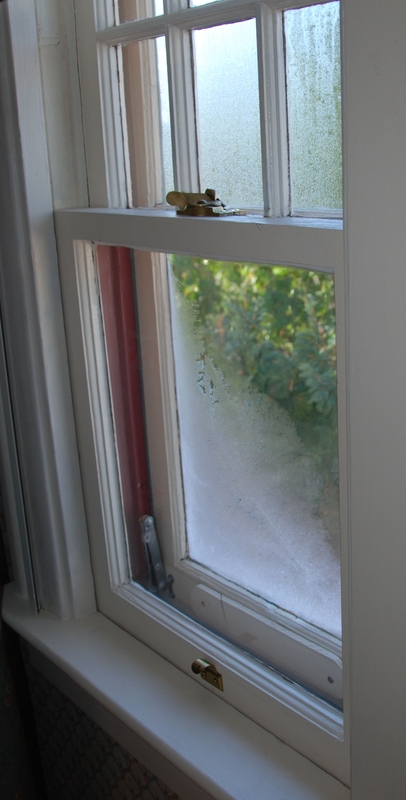 However, since we live in Alberta, this topic is almost ALWAYS relevant – what to do about frosty windows! With winter coming, some owners of historic places might be witnessing the formation of frost on their single pane wood windows and storms, most notably on the second storey. The reasons for this will vary and subsequently so will the solutions. Generally speaking, a little frost now and again should not harm the window frame but a more persistent formation will saturate the surrounding material and, in the long run, potentially cause significant damage. Should this be the case, ignoring the situation is far from the recommended solution. Storm windows traditionally have three holes at their bases with a flap cover. During the winter, these should be open to let moisture and condensation escape. When bugs arrive with spring, close the flap. Double hung windows generally have locks where the sashes meet – use them to tighten the window and reduce air leakage. Should you decide to proceed with a form of weather stripping, concentrate on the interior side of the window and allow the storm window to breathe. This will create a micro-climate (similar to the ventilation in one’s roof), which should help prevent frost and therefore better sustain and protect the window. Hopefully, the preceding information will be useful for those who might be dealing with frosty windows. There are many articles on the Internet, which tackle this issue and propose similar, different and additional solutions ranging from “free to expensive”. As a Heritage Conservation Adviser, my advice, and that of the Standards and Guidelines for the Conservation of Historic Places in Canada, is to start with the minimal approach. With any luck, that is all that will be needed. 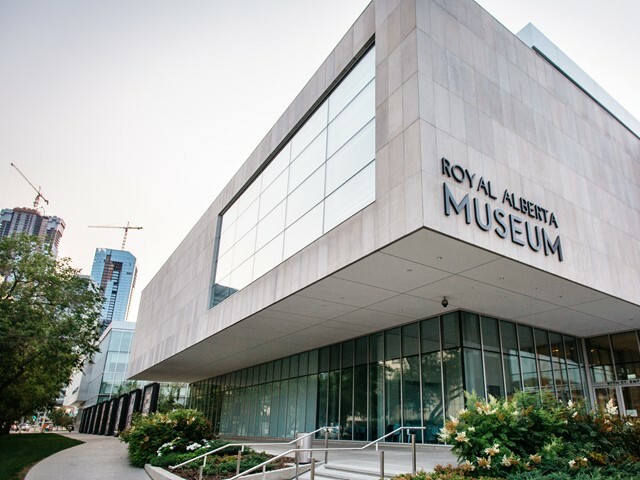 The new Royal Alberta Museum is opening today! Congratulations to everyone who has worked so hard to make this happen. We are very excited to explore the new building and galleries, and enjoy the museum for many years to come. New Royal Alberta Museum in downtown Edmonton. Credit: Flickr/Government of Alberta. In honour of the new museum building opening, our post today looks back at the beginning, and original opening, of the Provincial Museum of Alberta (later renamed Royal Alberta Museum) 51 years ago.